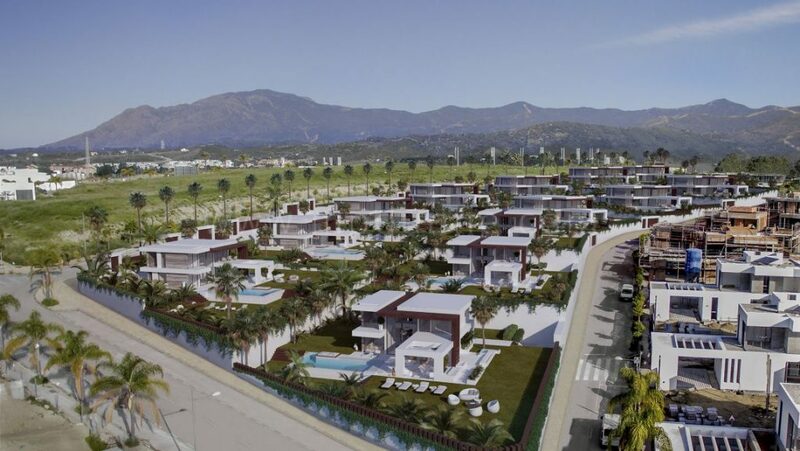 Cancelada is a small Spanish village, situated between Marbella and Estepona on the New Golden Mile, where many new build luxury projects will be developed in the coming years. In this article, we take a closer look at this traditional and charming Spanish village. And we scrutinize Cancelada’s luxury real estate market. The village of Cancelada, located in the municipality of Estepona, has retained its essential Spanish charm. If you are looking for the ‘real Andalusia’ as a property buyer, this charming village provides the real pleasures of traditional Spanish life. But don’t be mistaken! Cancelada offers modern and luxury facilities as well. 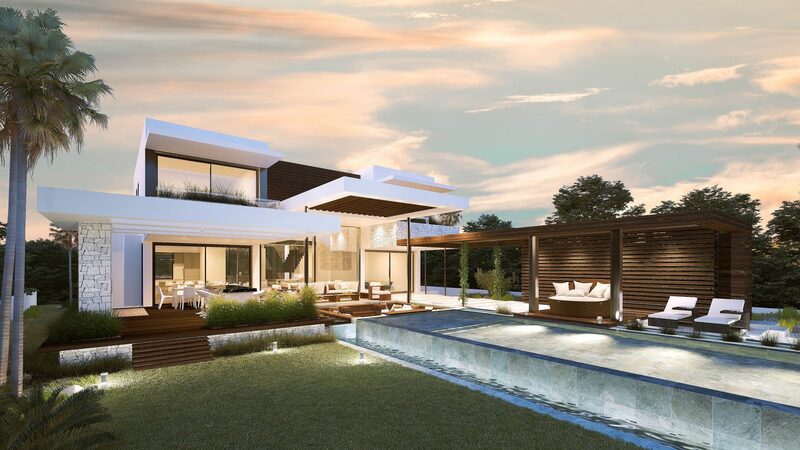 It is home to an exclusive selection of contemporary-style luxury homes, situated on the outskirts of the city. The village has plenty of restaurants and bars, mostly Spanish like El Carnicero and El Secreto de Baco, while Aidan’s Bar & Grill gives a small addition of Irish and British cuisine to life in Cancelada. Furthermore, a few small shops, a bank, post office and schools are within walking distance. Residents are a short drive from the supermarkets. Estepona and Cancelada are to described as hidden gems on the Costa del Sol. Especially Cancelada. The town is small, not very well known compared to other towns and villages on the Costa del Sol. It is currently in a situation of continuous growth with respect to the number of luxury houses and population, as well as its economy. This neighbourhood has a church called Purísimo Corazón de María and is the only one in Spain where perpetual adoration takes place. One of the most characteristic things about Cancelada is the arch, located in the square. One of the many benefits of Cancelada is that most residents live within walking distance of the beach (10 minutes) even though it is located on the mountain side of the N340. The location of the beautiful village of Cancelada is superb. The village is bordered on the west side to Marbella, where you can find beautiful beaches and golf courses, particularly close to the golf course of Los Flamingos, with the well-known Villa Padierna hotel. Since 2017, luxurious new development projects have started on the outskirts of Cancelada. Designed for people that wish to now enjoy the traditional Andalusian life and even enjoy easy access to the countryside. The luxury properties consist of new build apartments and penthouses, or luxury villas that are still under construction. They are designed to let in as much natural light as possible and blend the view with a modern style and low maintenance.